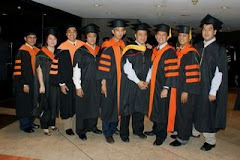 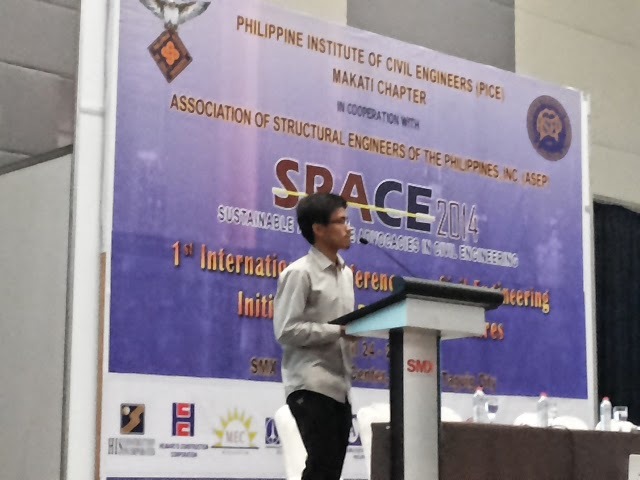 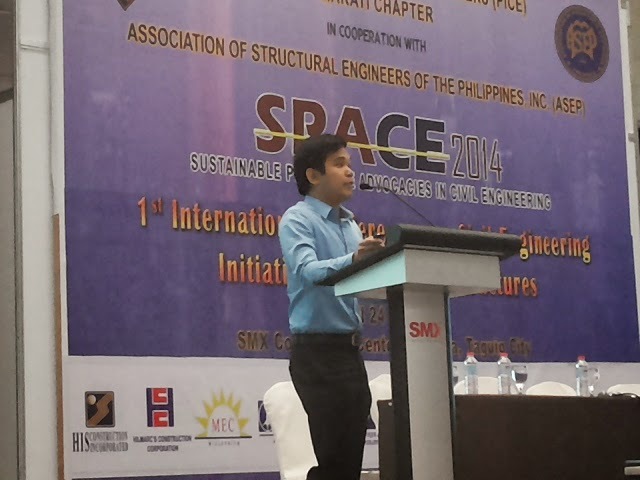 CE Faculty and BSMS/PhD graduate students presented papers at the 1st Sustainable Proactive Advocacies in Civil Engineering (SPACE2014), an International Conference on "Civil Engineering Initiatives for Resilient Structures" at the SMX Convention Center, SM AURA, Bonifacio Global City held on April 24-25, 2104. 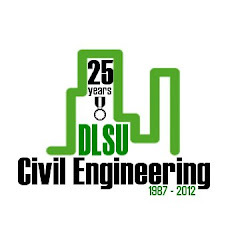 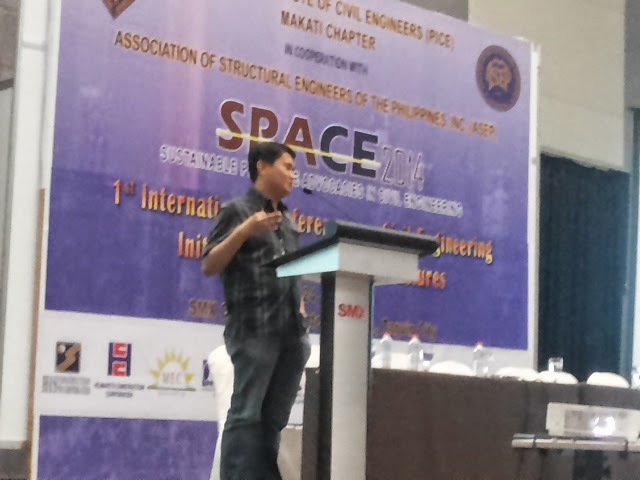 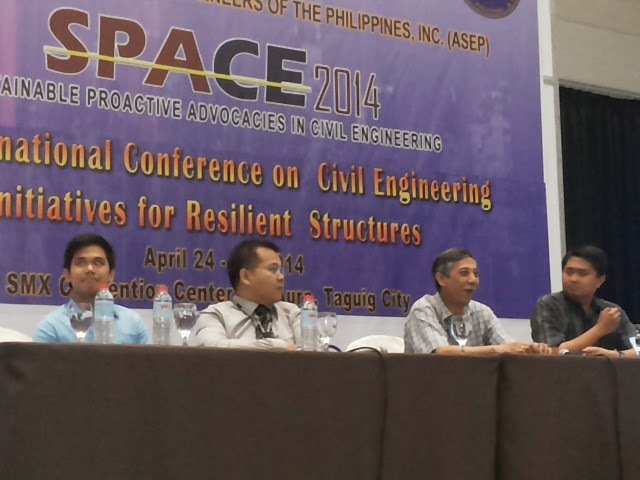 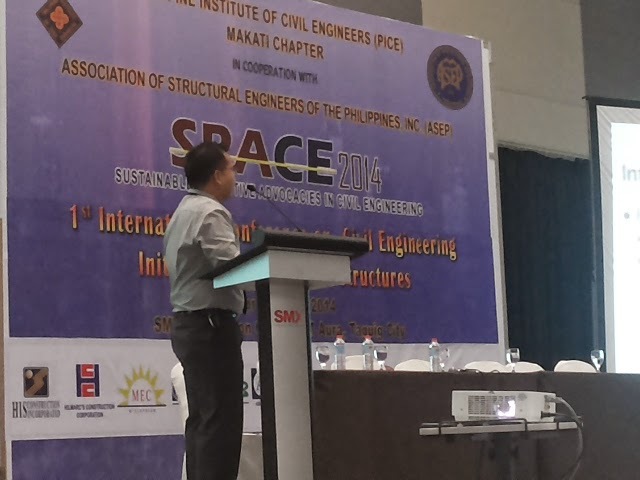 The conference was organized by the Philippine Institute of Civil Engineers (PICE) – Makati Chapter and the Association of Structural Engineers of the Philippines, Inc. (ASEP). 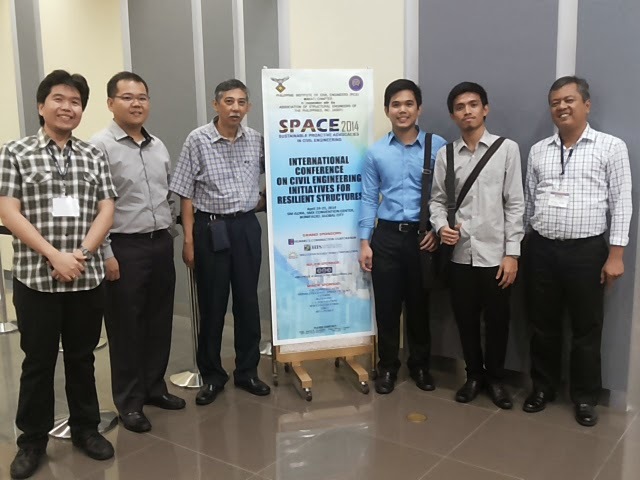 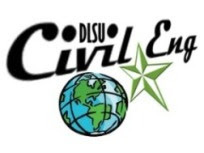 The Civil Engineering Department and its coorganizers, Tokyo Tech Office – Philippines, ATTARS and IDEAL invite you to participate in the forth- coming 2014 SEMINAR WORKSHOP ON THE UTILIZATION OF WASTE MATERIALS with the theme, “Sharing Knowledge, Technology and Expertise on Waste Utilization for a Sustainable Environment.” The seminar workshop will be held on September 5, 2014, at the Henry Sy, Sr. Hall, De La Salle University, Taft Avenue, Manila Philippines.